How can I book a Cottage/Chalet? How much of a deposit do I have to pay to book a Cottage/Chalet? Do I receive a confirmation for my booking? Where and how do I check in/check out? Do you accommodate large groups? What is the best unit for us? Do you have a minimum stay for your units? Which units have a hot tub? What resort ammenities do you have? What size beds are in each unit? 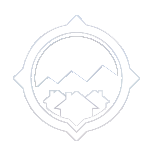 How close are your cottages/chalets to the mountain? Do your cottages/chalets have BBQ's? Do the cottages/chalets have fireplaces? Do your cottages/chalets have smoke detectors? Can I bring my dog, cat ? You can send an online reservation inquiry form or call our office directly. Our customer representative will get back to you promptly with rates and availability. Our office numbers are 705-445-1467 or Toronto direct 416-213-7437. In order to confirm your reservation, we require a 40% deposit at the time of booking and the balance of the rental fee is due 30 days prior to arrival. We accept all major credit cards, certified cheques, money orders, etc. Once your deposit has been processed, a confirmation will be emailed to you. You will need to come to our resort office at 796455 Grey Rd. 19, Blue Mountain (across the street from Area 4 at Blue Mountain). Check in is at 4pm and check out is at 11am. Directions can be printed off of our web site and they will be emailed to you with your confirmation. Our cottages and chalets range in size from 4 up to 9 bedroom. Larger groups can rent several chalets which are located beside each other. For example our 9 bedroom chalet can sleep up to 22 people, larger groups can rent addtional chalets. Tyrolean Village can accommodate between 300 to 400 people. We have a 2 night minimum stay. However, based on availability bookings for large groups may be accommodated for 1 night stays. Please see our list of chalets. Some of our 4 bedroom, 5 bedroom, 6 bedroom, 7 bedroom & 9 bedroom chalets have hot tubs. There's lots for you to do here, we have a private beach on Georgian Bay, access to the Plunge year round water park, children's playground, hiking/biking trails, tennis courts, volleyball courts, basketball courts, horseshoe pits and soccer/baseball playing feilds. Other activities in the area include skiing, snowboarding, golf, shopping, restaurants, etc. Please refer to each individual chalet webpages where sleeping arrangements are described. All of our cottages/chalets are within a 10 - 15 minute walk to the Blue Mountain ski lifts, the Blue Mountain village and events plaza. By car it is 2-3 minutes away. There are propane BBQ's on the decks of each unit from May until mid November. All of the units have fireplaces. Most are wood burning, some are gas or electric. Firelogs for burning can be purchased in our resort office. YES All of the chalets have a smoke detector and fire extinguisher on each floor. A security deposit of $1,500 is required when you check in . Usually the security deposits are done on a credit card and the security deposit amount is only pre authorized on the card. The card is not charged unless there are damages, cleaning charges, etc to the chalet. The pre authorization on the credit card will expire within a few days after you have checked out of the chalet and after the chalet has been checked and cleaned. Our Swiss style chalets come with 2 pillows and 1 comforter for each bed. You will need to bring your own sheets, pillow cases and towels. We provide linens and make the beds in our Executive style units, but you are still required to bring your own towels. We can make the beds up for you, the cost is $10 per bed. Yes, we are Pet friendly with an off leash PET PARK and Pet Friendly Private Beach. You are responsible for cleaning up after your pet regarding pet hairs, etc. Additional cleaning charges may apply if you pet has left a mess. If the chalet is cancelled 30 days prior to arrival a full refund is granted less 3% credit card fee. If the chalet is cancelled within 30 days of arrival you will lose your full rental amount. Under certain circumstances you may receive a credit for another booking time or if the chalet can be re booked at the regular price we will inform you and a refund will be granted less an admin fee. We are not in business to charge a customer without providing them service but when a customer cancels at the last minute it is sometimes impossible for us to re rent the chalet. In many cases we have turned away customers during the period we held the chalet for the customer that has just cancelled. This is the reason for our policy.